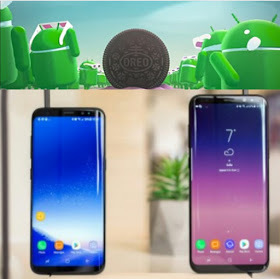 Samsung Galaxy S8 and S8 Plus set to receive Android 8.0 Oreo update via OTA. The manufacturer officially made the announcement that both devices will get the update soon or later. Both devices would spot a new firmware version after the update, of which G955FXXU1BQI1 is for the S8 and G950FXXU1BQI1 is for the S8 Plus. According to a report, it reveals that the company will first roll out a Beta testing program before pushing the stable update to all users, as there's no information on when the stable version would be released. Also, the Beta update might not include all Android 8.0 Oreo features. Meanwhile, HTC, Sony, Huawei, and Nokia have also planned to release theirs, while OnePlus 3 had recently received its own update.